The term Cranial Osteopathy is a misnomer; it is a name we have inherited. It involves the whole body, not just the head. It is a development of the principles of osteopathy first conceived by Dr Still, by one of his first students, WG Sutherland. Sutherland realised that bone is a flexible, plastic material that deforms under load, as steel does in buildings, bridges and ships. In fact, its flexibility is part of its strength. Sutherland found that the tiny joints between the bones of the head, the sutures, allow even a little more flexibility to this living structure. Hence Sutherland started to explore and include the head in his treatment. From this he developed a very acute sense of palpation. Sutherland came to the conclusion that if the living body is a self-renewing, self-regenerating, self-recuperating, self-maintaining system, any change to its condition that it makes itself, can only be towards health. The body cannot, of itself, make a change towards disease. Therefore the fundamental principle of Sutherland’s concept of cranial osteopathy is to allow the body to make its own changes from within, what the body wants to do itself; it is not for the practitioner to impose a prescription of treatment from outside. For this, the osteopath has to develop a highly acute sense of palpation, in order to ‘read’ what the body requires and to work with the body, without imposing from outside. This principle applies throughout the whole body. In treatment, the patient's tissues are carefully supported in such a way as to allow them to make their own changes from within, rather than the application of a treatment prescribed by the physician. 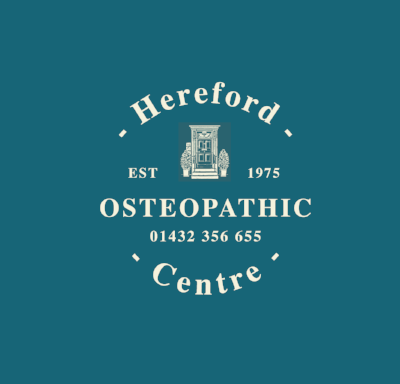 The osteopath will work with the body to enable it to make the changes it wants to make naturally, towards health. Nothing is imposed. Treatment is gentle. Some patients may be unaware what is happening and sometimes can even fall asleep. The cranial concept can be used to identify and deal with immediate acute symptoms as well as long-standing problems. The approach can identify the original cause of a problem; sometimes it may be found to be related to an injury which occurred many years ago. It can be used for everything mentioned in What Osteoopathy can treat but some can be cared for only this way.